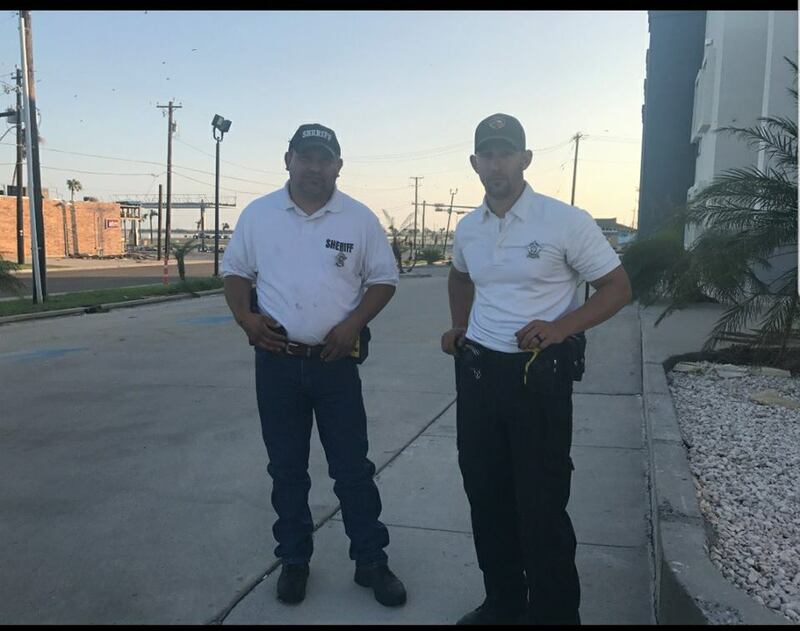 Day 3 in Port Aransas for these two Atascosa County deputies. They just finished their last 12 hour overnight shift patrolling Port A and manning a check point. 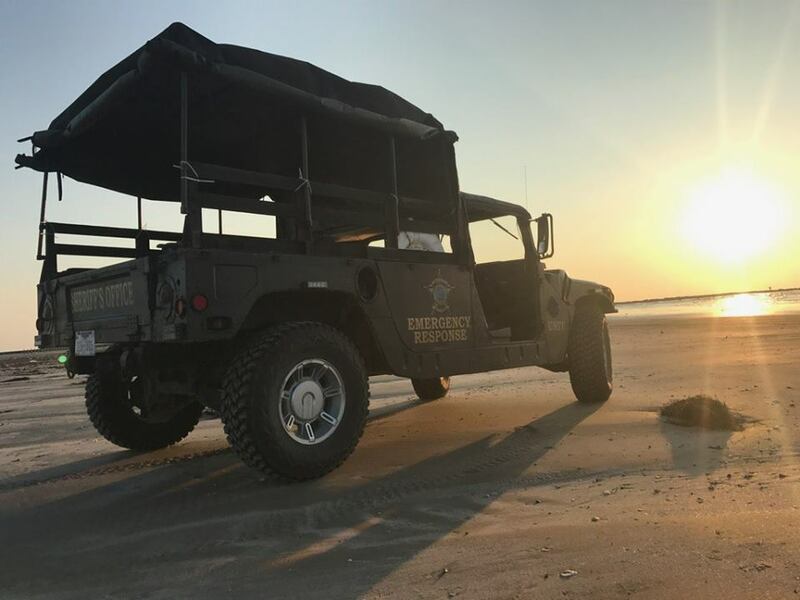 Chief Deputy Cregg Thompson and Sergeant Investigator Jesse Martinez will arrive in Port A this afternoon to start their 3 night tour. Certainly a team effort in Port A with Jourdanton PD here on the ground, Pleasanton Police bringing in donated supplies yesterday and the countless citizens and businesses in Atascosa County that have donated and supported this effort, including your Pleasanton HEB, J W Hughes Company, Ranchscapes Truck & Trailers, Atascosa BBQ Pits, RB Printing, RC Flooring, Mark Pawlik Building Contractor, Atascosa Dodge, Ramos Tire, WB Supply, Pct. 1 Commissioner Lonnie Gillespie and many others that we don’t have the names for right now. Our officers working in Port A have been totally self sustained as not to put a burden on local authorities there. With the help of these businesses and others and countless citizens, we have been able to achieve this.